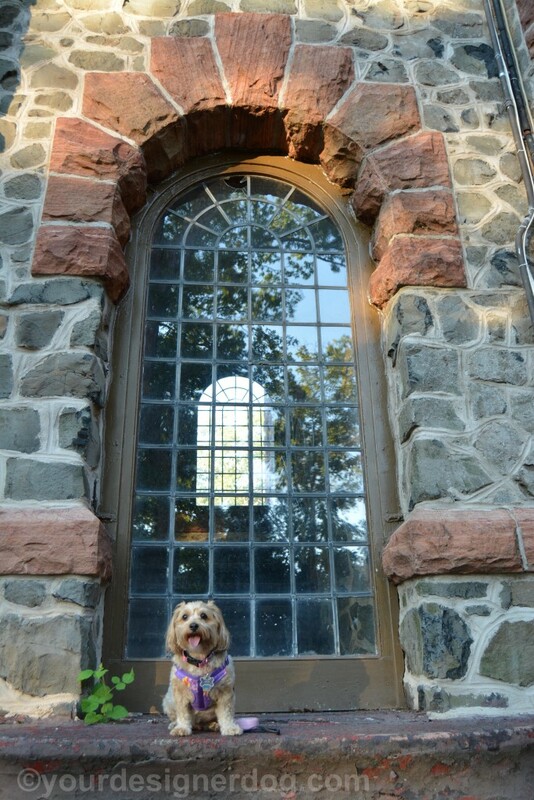 Sadie and I ran into some pretty fancy windows on a recent walk. Apparently they are turning this building in the middle of a park into a banquet hall. I think it’ll be a great place for parties, but Sadie didn’t think it was anything special. How great can a place be if they won’t let Sadie go inside? This post is part of the 2016 Pet Photo Challenge hosted by Six Legs Are Better Than Two.